Do you consider yourself a driven woman? Do you thrive on recognition or achievement? Do you have a passion for travel? Are you looking for a little more in life? Something different? Do you want MORE? Starting your own business can be a way to accomplish or achieve more. Own your time and your future. Be your own boss. Decide when and how much you want to put into achieving your goals. Be reworded for your own achievements. Do you have a passion to help others? Do you wish you could do more or give more? With Scentsy consultants are able to host fundraisers or donate your commission to those in need, it is a great way to give to others. When was the last time you were truly passionate about something? Do you have a cause or platform you want to support? Are you the kind of person who tells all your friends about amazing products when you find them? Or maybe the best restaurant in town? Having passion and purpose can be fulfilling, a sign of a life well lived. Since joining Scentsy, I quickly moved up to leadership. I enjoyed setting the goals and accomplishing each one. With leadership I was able to live more into my purpose, empowering women. I had always enjoyed our mentor programs back in my corporate days. With Scentsy, it took it to a new level. I was able to really help women, some wanted to earn enough for a baby sitter to have a girl’s night out, some wanted to purchase a new car and cover the payments, so wanted to cover the mortgage and some wanted to quit their full time job to be home with their families or to take time for themselves allowing freedom and flexibility. I love to travel, and I have earned 9 trips since I joined (every one that was offered). It’s not that I couldn’t afford these trips on my own – the real value for me – someone arranges it all for me! I show up, spend an amazing week with friends I have made over the years & new ones on each trip, without the worry or concern of every individual detail. It’s like a free personal travel agent. I go to some amazing places and always see the best/must see attractions or experiences. Maybe you are one of those who find themselves paying a high tax bill come April 15th. By owning your own business you can use the business expenses as tax-write offs from your personal taxes. Scentsy is simple. You are paid a % commission on what you sell. You do not have to track inventory. Consultants sell the product and purchase product at the retail price. On the 10th of the following month consultants are paid commission on sales. Scentsy provides a 1099 at the end of the year for taxes. As a business owner you will report that income and then you are responsible for tracking expenses – to write off against the earned income. Did I lose you yet? The main point – having a small income from a home based business can be beneficial – talk to your accountant. Are you a spontaneous person or a planner? Either way – when you make a plan or think you have a day to do what you want but work is calling, it is no fun. As a business owner you set your hours. You decide when you work (or when you don’t). You decide how you work and who you work with. This kind of business isn’t easy, but it is very simple. It takes work – not a get rich quick – however, you are in control of your time. It is so rewarding and freeing to have such flexibility. I can travel and still take care of my customers and team from any place in the world, but not tied to my cell phone or computer if I don’t want to be. How does that sound? Scentsy offers a great opportunity to start your own business with incredible growth opportunities. Whether you’re looking to earn a little extra cash, a part time job or a full time job, Scentsy offers a solution. The possibilities are endless for people who are dedicated to working and growing their business. Be your own boss, work your own hours and make friends doing it. Please take your time to research the possibilities with Scentsy, I promise you won’t be sorry you did. Our team of Independent Scentsy Consultants are a friendly family oriented group. We are supportive and believe in helping one another. Scentsy gives you flexibility and control of how much or how little you work your business. It is an important decision selecting your Scentsy sponsor. Learn more about Chilly, Scentsy Director. Are you looking to more answers to your questions about joining a Scentsy team? Check out my common questions about joining Scentsy. We offer excellent training and support that can help you succeed in a step-by-step manner. This includes conference calls, promotional tools, video training and more. The Scentsy products are unique and appeal to a wide range of people. They really do “sell themselves”, because the bars are consumable they also prompt reorders. Shipping on party orders $150 or more is FREE to the party host or the Scentsy consultant! The initial investment to start your own Scentsy Business is affordable, $99 (US) & $119 (CAN) plus tax & shipping. Everything you need to get started is included for this prices; the Starter Kit, 3 months free Scentsy Website ($10/mo after) and the monthly newsletter tool. For just $99*, Scentsy will send you a Starter Kit that includes everything you need to run your Scentsy business. See the complete contents of the kit. As a Scentsy Consultant you are able to work your business around your schedule, needs and location. 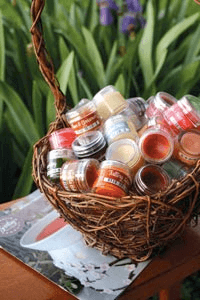 You can sell Scentsy online through your Scentsy website, host home parties or basket parties, fundraisers or at shows. I really enjoy selling and sharing Scentsy, but my passion is helping my team realize their goals! Scentsy offers great support to consultants, however I believe your business is enhanced by your sponsor. Picking your sponsor can be key to your success! You do not have to sign-up with a local consultant. I encourage you to get to know your potential sponsor; learn how she trains and what she does to support her team. After you Join Scentsy, you are immediately eligible for 20% commission on the Scentsy Products you sell. Once you sell $1000 in personal sales you promote to 25% commission, on retail orders, and you never go back! Consultants have the opportunity to earn up to 30% on personal sales, and receive leadership bonuses of up to 9% of the entire down line volume of the people you recruit and train. 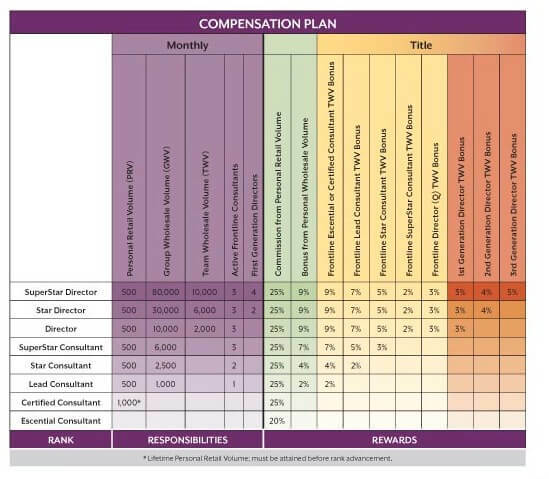 Independent Consultants submit payment in full for products, and then are issued their earned commissions on the 10th of each month on your Scentsy Visa Pay Card! Scentsy opened in Canada in 2009 and has been experiencing extreme growth. Scentsy is now available in Ontario, Nova Scotia, New Brunswick, Manitoba, British Columbia, Prince Edward Island, Saskatchewan. Alberta, Newfoundland and Labrador to become a Scentsy consultant or products can be sold and shipped anywhere in Canada. Scentsy opened in Europe in 2011 and has been experiencing extreme growth. Scentsy is now available in the Germany and the UK: England, Northern Ireland, Scotland and Whales. You can contact me to start your business.